Extractive industries are a major contributor to climate change, since they are responsible for extracting the natural resources whose consumption and extraction release carbon dioxide into the atmosphere. Even metallic mining such as silver and iron contribute to climate change given the energy needed to extract it, transportation to another country or region where it is processed and then sold. Extractive industries affect more than the health of the planet. They affect the health of our communities too. Air pollution is equal opportunistic when it comes to impacting human health. But when much of the infrastructure of the U.S. petroleum industry is concentrated near low-income communities, its effect on these communities and their residents becomes outsized. Many resource-rich countries are experiencing extreme and damaging weather events. These climate vulnerabilities are increasing operating costs for natural resource extraction. Climate change has potential to induce negative environmental and social shocks in communities, which can disrupt the needed labor force in extractive industries. Therefore, while many extractive industries may not publicly state the climate change risks, they will openly mention increasing costs of natural resource extraction today. The call for faith leaders and communities is to challenge extractive industries to publicly state the impact of climate change on their operations and to demand sustainable actions that will protect vulnerable communities where the corporations operate. Faith leaders in the U.S. also are supporting the Paris climate agreement, which has countries around the world committed to keeping global warming to “well below” 2 degrees Celsius, compared to pre-industrial levels. While President Trump has said that he wants to pull the U.S. out of this agreement, heads of cities, states, corporations and faith communities around the country have stated that they are “still in” in reaching the pact’s goals. Write or call your US representative to tell her/him that people of faith won't accept government inaction on climate change. Calculate your carbon footprint to give you a clear starting place, which will allow you to set achievable goals for reducing your impact. Engage young people in thinking through their habits as consumers and how our everyday stuff is made and used. This article is made possible by the Inter-religious Working Group on Extractive Industries. 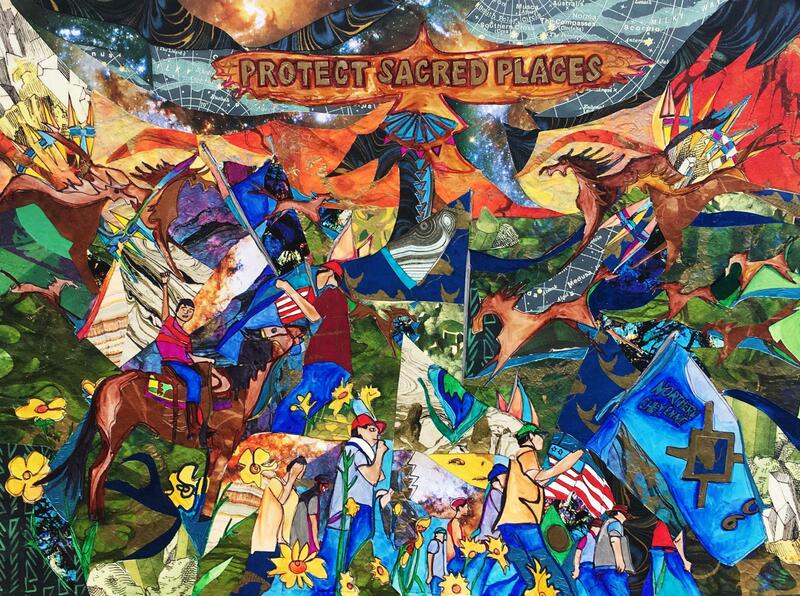 The working group is a Washington, DC based coalition of faith, human rights, and environmental organizations concerned about the negative impact of extractive industries on creation, which includes both the human and the natural world. The Columban Center is a member. For more information on this subject, please read the Missionary Society of St. Columban's statement on extractive industries.